When your lil’ one arrives, what an exciting time it is for everyone. Everyone smiles more and everyone sleeps less. From their first smile, to every other milestone we want to celebrate with you as your lil’ one grows. 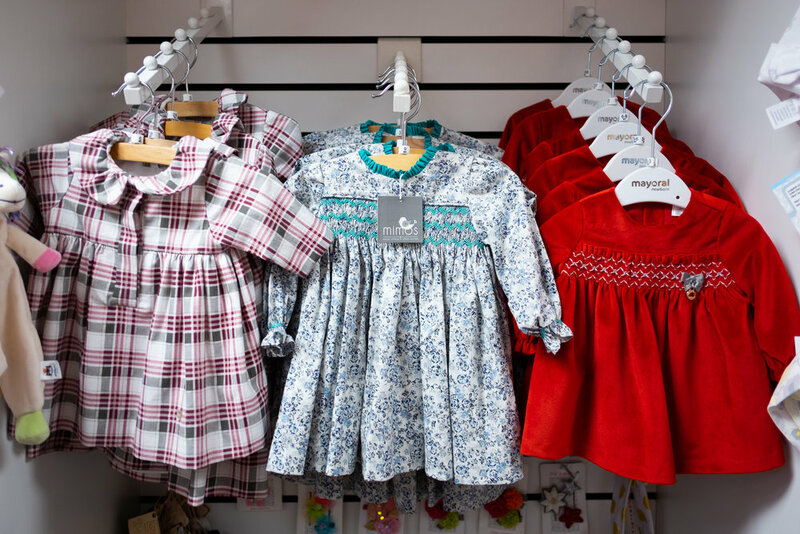 LIl’ Tugs offers an amazing selection of clothing for your little ones from birth to toddler. The product lines we have selected for your lil’ ones, are ones we love and have for our own lil’ ones. Footies, gowns, onesies, overalls, pant sets, receiving blankets, swaddling blankets, hats, socks, and sweaters. We hope you have fun shopping with us for your special lil’ girls. We truly believe little girls leave a sparkle of happiness wherever they go.We carry sizes 2T to size 8 for girls. We take great pleasure in the selections and the clothes that reflect the joy and innocence of your lil’ ones, while being fun and functional. We have dresses, tops, skirts, pants, leggings, pajamas, swimwear, sweatshirts and accessories to make that little girl feel special. Anchors, cars and worms galore, that’s what boys are made of…. We carry clothes for your boys, toddler sizes to size 8. Our desire is to provide a range of quality, unique and trendy tops, pants, jeans, shorts, pajamas, swimwear, sweatshirts, jackets and accessories make it easy to dress your lil’ boy. We have a wide array of durable, casual and dressy designs in fun colors, quality materials, to dress him comfy, yet stylish and adorable. Lil’ Tugs has looks for the season as well as many classic looks available year round. Open Monday through Saturday, 11:00am to 5:30pm, Sunday 11:00am to 3:00pm.